Next week's New York Auto Show will see the debut of a car bound to appeal to fans of diesel wagons everywhere. 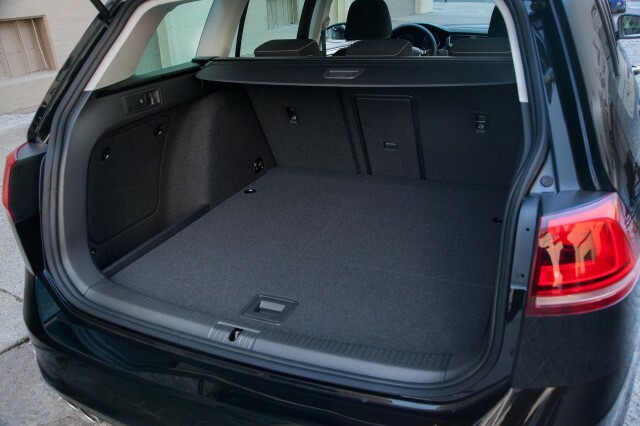 Aha, you say, it's the new Volkswagen Jetta SportWagen! Well, no. But, yes, sort of. What VW is calling the Volkswagen Golf SportWagen will be an additional model in the all-new 2015 Volkswagen Golf and GTI range, though the company calls the car it will show in New York technically a concept. But it's the same Golf wagon that's been on sale in Europe for more than a year now, and that requires a bit of explanation. U.S. buyers prefer sedans over hatchbacks, which is why we purchase many more Jetta compact sedans than Golf hatchbacks. So Volkswagen has always sold the SportWagen model--which is a Golf wagon outside North America--as a Jetta model in the U.S.
Now, it appears, VW wants to standardize its global model range, so the all-new wagon based on the seventh generation of the Golf will now be dubbed a Golf here too. ALSO SEE: 2014 BMW i3: Polarizing Looks, Average Range--Can It Succeed? The New York "concept" Golf SportWagen will show off not only an all-new 2.0-liter TDI diesel engine but also VW's 4Motion all-wheel-drive system. 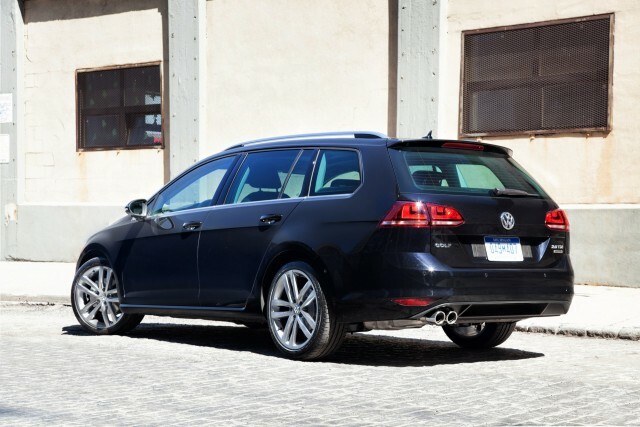 The new wagon, Volkswagen says, is lighter, more powerful, and more fuel-efficient than the outgoing Jetta SportWagen. Specifically, it's 1.1 inches longer, 0.7 inches wider, and despite 0.4 inches of increase headroom front and rear, almost an inch lower. Careful attention to aerodynamics has cut its coefficient of drag by almost 10 percent, VW says, and there's also almost 10 percent more cargo volume when the rear seats are folded. The standard engine is a new 170-horsepower, 1.8-liter turbocharged four-cylinder engine, paired with either a five-speed manual gearbox or a six-speed automatic transmission. 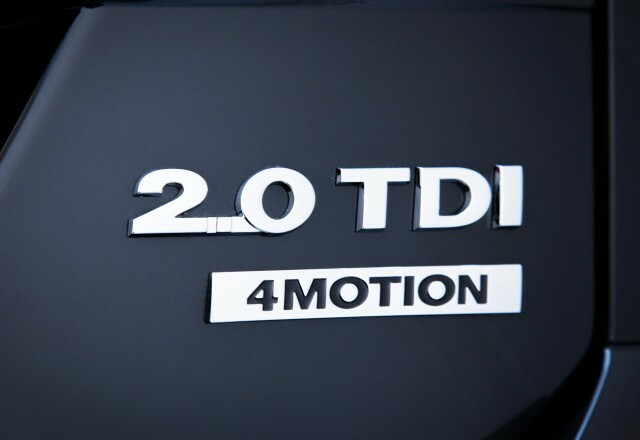 The optional TDI diesel engine is also new, producing 150 hp from its 2.0 liters (10 hp more than the old TDI engine it replaces). A six-speed manual gearbox is standard with this engine, and a DSG direct-shift automatic transmission is optional. EPA fuel-economy ratings aren't yet available for the new Golf SportWagen, though VW says the new gasoline model will rate as much as 17 percent higher on the highway cycle. With its optional all-wheel drive, Volkswagen says the Golf SportWagen "essentially...provides a sportier alternative to compact SUVs." Arguably, that's true, although the U.S. market's historic disdain for old-fashioned wagons without 6 to 9 inches of ground clearance may mean that not all buyers see it that way. The Volkswagen Golf SportWagen--with or without TDI diesel engine and 4Motion all-wheel drive--will go on sale in the U.S. early in 2015.